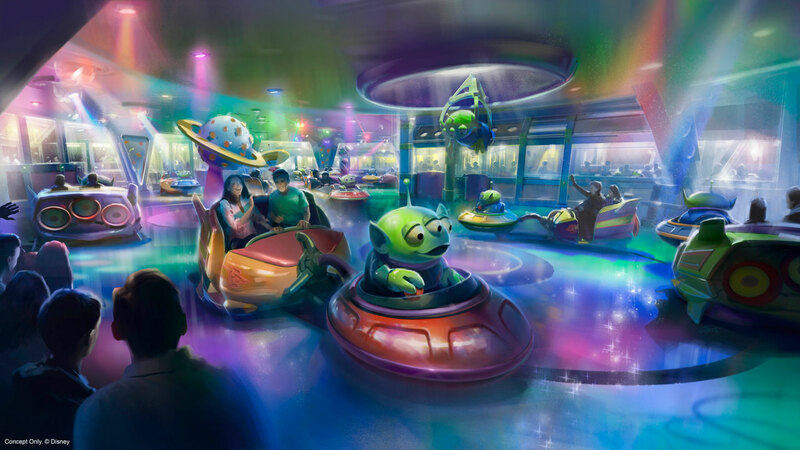 Disney released a new piece of concept art today for Alien Swirling Saucers, one of two new attractions coming to Toy Story Land this summer. 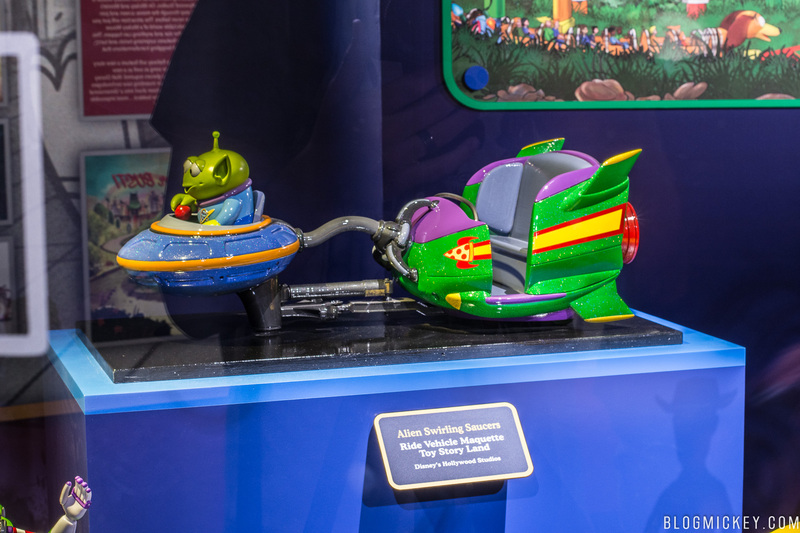 In the ride, guests will be whipped around by vehicles “driven” by the lovable Green Aliens. Here’s a look at the ride vehicle maquette on display at Walt Disney Presents. Toy Story Land will open “this Summer” at Disney’s Hollywood Studios.